The captain of Shakhtar continues to contribute to the Let’s Help Children campaign by Rinat Akhmetov’s Centre. This time, to coincide with the school year start, Darijo Srna presented the boarding schools of Donetsk, Makiyivka and Amvrosiyivka, where the orphaned children study, with sports equipment for physical education lessons. 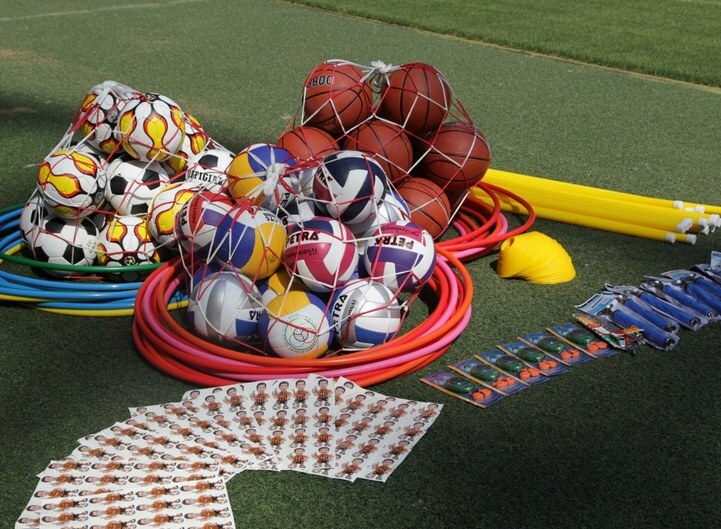 From 8 through 10 September, more than 120 footballs, basketballs and volleyballs, alongside whistles, stopwatches, cones, gymnastic hoops, net sacks for balls, skipping ropes and pumps will be delivered to three boarding schools. Aggregately, 400 gifts from the captain of Shakhtar will be handed to the children aged 6 to 17.